Once upon a time, as we all know, the Roman Empire was the largest the western world had ever seen, and ruled most of the then known world, from Africa in the south to Britannia in the north, and from Syria in the east to the Atlantic Ocean in the west. In 206 BC a modest town in the southwest of Spain called Ispal was conquered from the Carthaginians by the Roman general Scipio. Over the centuries, and through a variety of changes of name (Hispalis of the Romans, Isbilya of the Moors, and finally Sevilla of the Spanish) and fortune, it would become the city of Seville that we know today. Although the physical remains of the Roman period are sparse, Roman civilisation has left an enduring legacy, so much so that Julius Caesar, who was governor here in the first century BC, is credited with being one of Seville’s founders. It was he who built the first stone walls around the city, granted it imperial status, and gave it the Roman name Julia Romula (after himself, naturally). The city that he “girded with walls” was considerably smaller than it later became, but covered most of what we now call the Barrio Santa Cruz, and an area around the Plaza Encarnación. The centre of the Roman city was the Forum, and although there is nothing Roman to see there now, its probable location at the Plaza Alfalfa is still a public open space, a continuity spanning over two thousand years. The path of the principal Roman street, the Decumanus Maximus can still be followed along Calle Aguilas (Eagle Street), through the Alfalfa square, and down the Alcaicería de Lozo to the El Salvador church, thought to be the location of the Roman basilica. 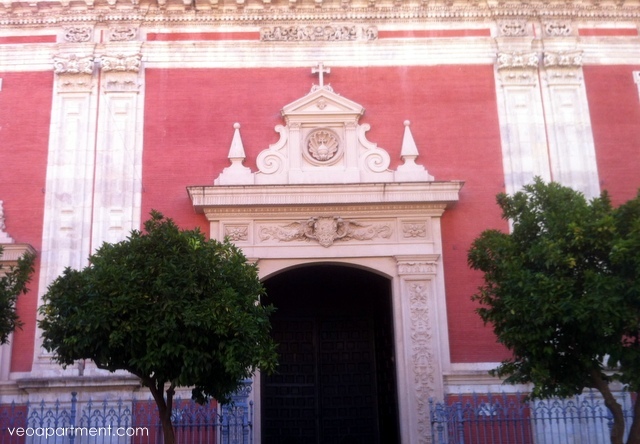 Not far from the Alfalfa, in Calle Marmoles, are the oldest man made structures in Seville that are still standing in their original locations. 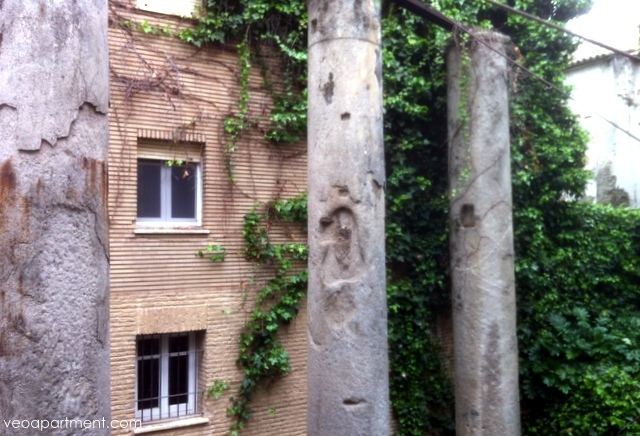 The three granite columns were once part of a second century Temple of Diana, and were brought all the way from Egypt – quite an undertaking in those days, even for Roman engineers! Two more columns from here can be found in the Alameda de Hercules, topped with statues of – you guessed it – Hercules and Julius Caesar. A sixth column was broken during the process of moving it. 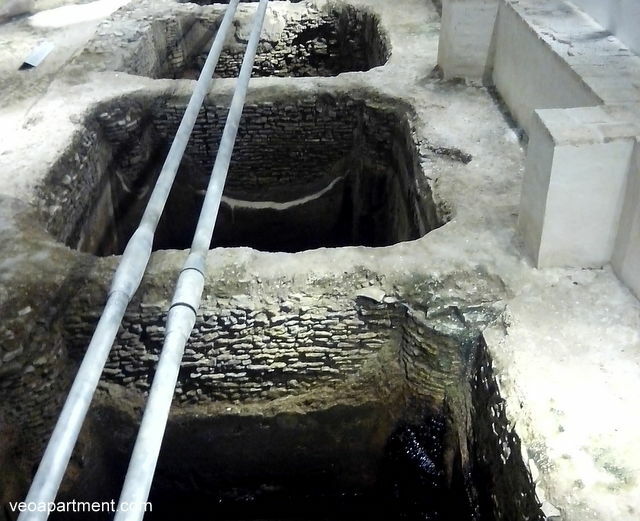 You should also go to see the Roman ruins below the Metropol Parasols, the largest exposed Roman site in Seville, though I suspect that if you dug down five metres or so almost anywhere in the old city you’d stand a good chance of finding more. The remains include residential buildings, mosaics and a fish salting factory, which can’t have made a pleasant neighbour. 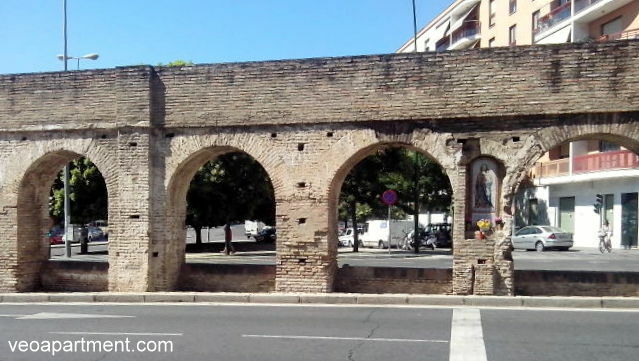 Immediately outside the historic centre there are a couple of short stretches of the Roman aqueduct that supplied water to the city. Astonishingly, the bulk of the aqueduct was demolished as recently as the early twentieth century, in a fortunately rare act of civic vandalism. There are, of course, a plethora of smaller Roman columns dotted about the city, mostly removed from the neighbouring Roman city of Italica (well worth a visit), in the days when such places were regarded as handy sources of building material rather than archaeological heritage. Other remains and objects from here can be found in the Archaeology museum in Maria Luisa park. As always, we have a range of holiday apartments for rent in the historic centre of the city that make a great base for exploring. See you all soon.